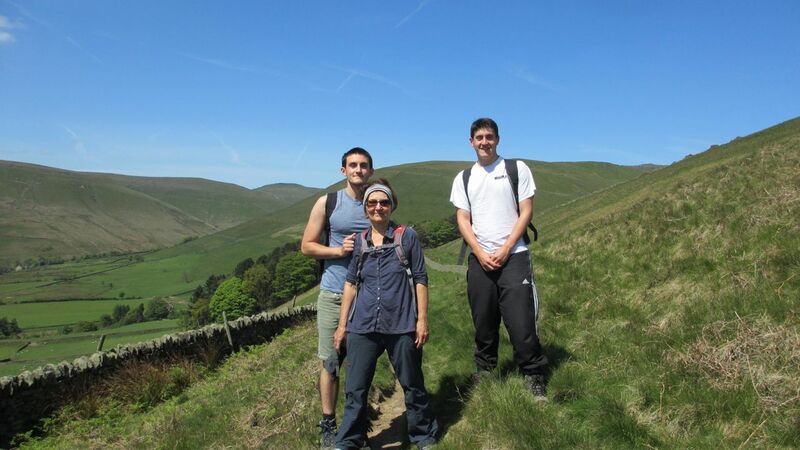 This May we celebrated Isabelle’s 60th birthday with a day’s walking in Edale and up on Kinder Scout, in the Derbyshire Peak District. At 636 metres Kinder is the highest point in the Peak District – indeed just about anywhere in England south of Yorkshire – and the nearest place with real hills to Cambridge. Edale is famous for several reasons. 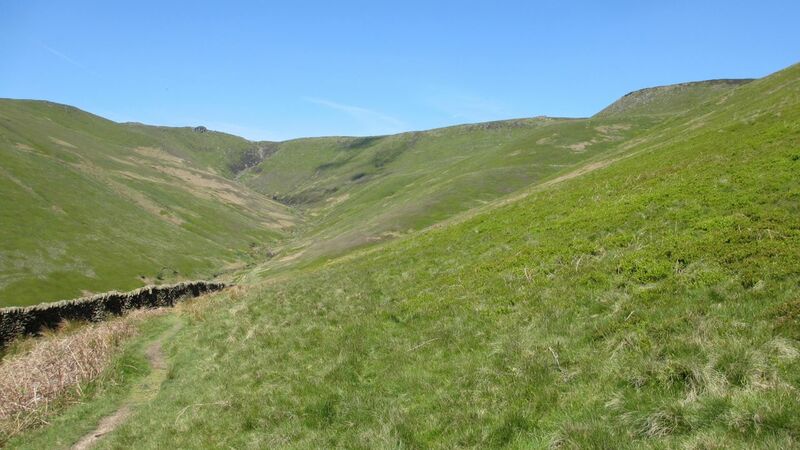 It is the start of the 267-mile Pennine Way – though somewhat confusingly when you leave the village you are offered two versions of the route, up Grindsbrook or Jacob’s Ladder. 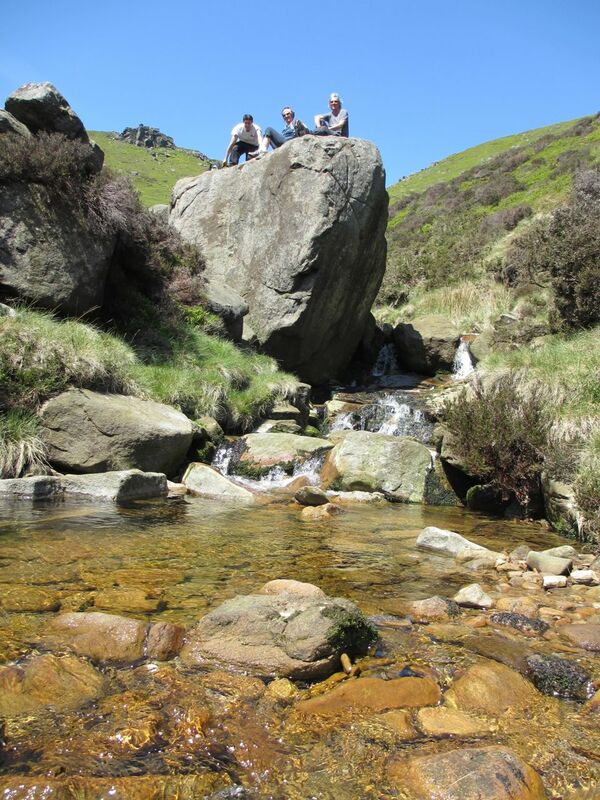 As Edale can get very busy on a warm spring Saturday, we avoided both, preferring the Crowden Clough footpath which also leads up to the Kinder Scout plateau. 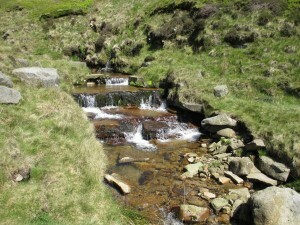 Crowden Clough is usually quiet and so it proved on this occasion – we passed but a handful of people on our way up the valley, and probably saw more dippers and grey wagtails flitting around the waterfalls. Curlews hung on the air as we made our way up towards Crowden Tower and the start of the plateau. As we stopped for lunch, a ring ouzel was singing on one of the rocks across the valley. Edale and Kinder’s second claim to fame is the mass trespass. 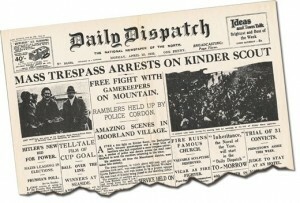 On 24th April, 1932 a group of Sheffield ramblers, protesting for the right to roam, set off from Edale for a mass trespass on Kinder Scout, where they successfully met a second group of ramblers who had started from Hayfield on the other side. Following scuffles with gamekeepers six ramblers were arrested and five were found guilty and given sentences of between 2 and 6 months prison. Their efforts were not in vain when seventeen years later the 1949 National Parks and Access to the Countryside Act led to the establishment of the Peak District National Park, and the first recognition of a right to roam. Ever since the peaty bogs of Kinder have been a prime target for the walkers of Sheffield and Manchester. Ewan McColl was to succinctly rephrase this in The Manchester Rambler: ‘I may be a wage slave on Monday, but I am a free man on Sunday’. There’s a video of Mike Harding singing the song at the Moorland Centre in Edale, or another good version from Sean Cannon of the Dubliners. It may have been a Saturday rather than a Sunday, and I haven’t been a wage slave in the strict sense of the word for some years, but we certainly felt like three free men and a free woman as we stood up on Crowden Tower. From here there are several choices – you can turn left along the edge of the plateau towards the Swine’s Back, Kinder Cross and along to Kinder Low or down into Hayfield. One clear day, armed with a compass, I set out straight ahead across the plateau. After what seemed like endless peat bogs I eventually emerged at Kinder Downfall, little more than a trickle on that summer’s day. I have seen it as a spectacular waterfall after wet weather, with the west wind blowing the water back up onto the moor, or reduced to icicles in a harsh winter. This time, with a long drive back to Cambridge ahead of us, we turned right along the edge towards Grindslow Knoll. We passed more weathered gritstone outcrops and appreciated the National Trust’s attempts to improve the path as it crosses the degraded peat. 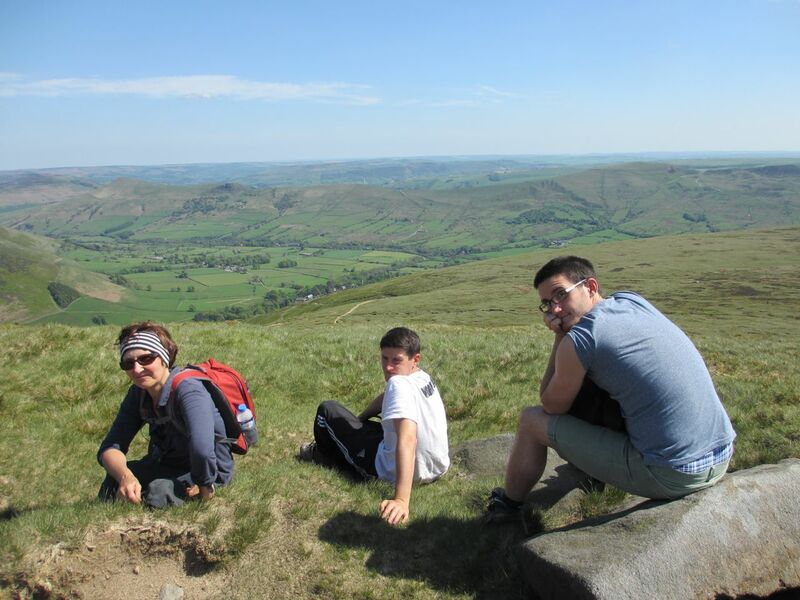 Edale has long been one of my favourite places in the country, with special connections to my family. 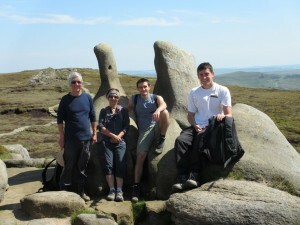 My father and grandfather were walking there when my mother went into labour for my birth. We in turn were there on the cold New Year’s Eve when my father died. Growing up in Manchester and Rochdale gave me a love for the gritstone moors, and it’s the place I head to when I need to escape the flatlands – good both for the feet and the soul. We have walked around Edale in all weathers, but never as fine as this day. The sun was still shining as we headed down the slopes of Grindslow Knoll back towards the village, past the fortunate drinkers in the Rambler Inn who had less far to drive home.